Golden Temple – on account of its scenic beauty and golden coating also known as Sri Harmandir Sahib, and Sri Darbar Sahib is named after Hari (God) the temple of God. The Sikhs all over the world, daily wish to pay visit to Sri Amritsar and to pay obeisance at Sri Harmandir Sahib in their Ardas. Personal note: It was my dream to visit this place since my school days listening to voice of Saroj narayanaswamy grand old lady of All India Radio –that n- number of people from Gurudaspur district or kaburthala district were killed in the gun fire during operation blue star. Also my maternal uncle who visited this temple during those days has also cited that it’s too scary to visit this temple and not sure of their lives till they get out of the temple which kept the curiosity inside me to visit this time lifetime… and now mission accomplished. 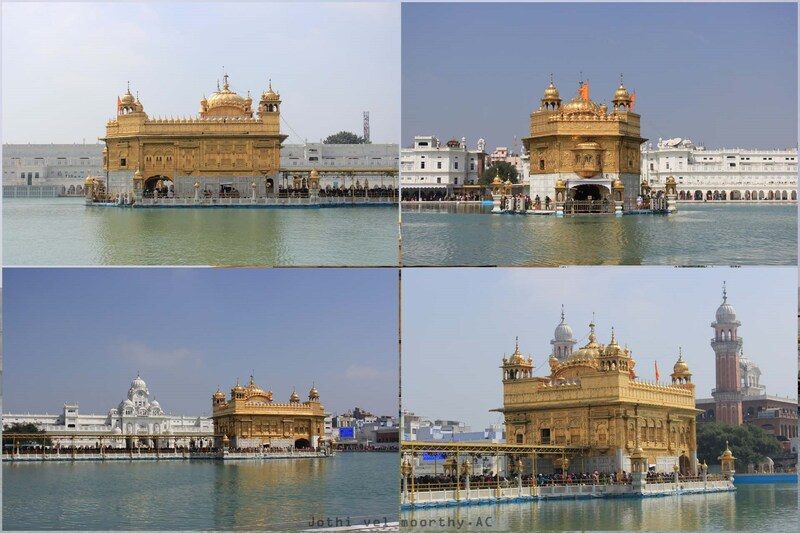 I have been to the Golden Temple and the place is phenomenal…I just loved it…want to visit another time….